Estate agent fees can be costly for both landlords and renters, which is one of the major reasons why the renting market is moving more and more towards digital. DIY landlords can get compliance assistance from online letting platforms without paying agent commission and worrying about hidden fees, whilst tenants can easily find vacant properties and set up viewing appointments online 24/7. Word of mouth is important for landlords and their properties’ reputation. With the rise of digital tools, tenants can now easily check the ratings of a landlord or property right at their fingertips. Therefore, it is crucial for landlords to manage their online portfolios and properties carefully and efficiently, from advertising to property compliance to tenant reviews. A bad review left unaddressed could negatively affect prospective tenants’ decision. So how can landlords manage their properties better without paying a huge amount of fees? That’s when MakeUrMove comes in. Renting should be fair for both sides, that’s why MakeUrMove does what they do. 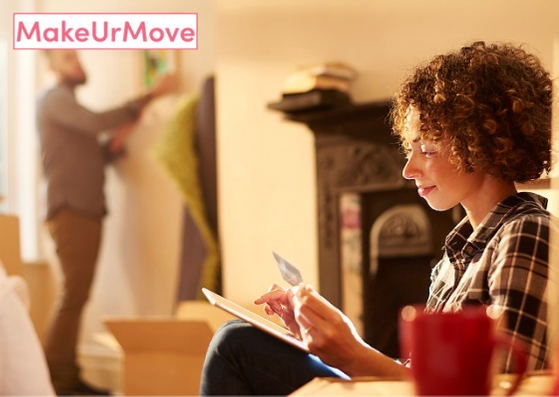 MakeUrMove is an online letting platform that brings landlords and tenants together through user-friendly technology and ARLA qualified support team. Finding tenants is a challenging task, whether the landlord is new to the market or experienced. Advertising on major online portals such as Rightmove and Zoopla often requires the help of an estate agent, which can lead to a large sum of unnecessary fees. Landlords can list their properties on these sites using MakeUrMove whenever they need to get the property visible online and increase exposure. They can also advertise their properties on MakeUrMove’s own portal for free - yes, it’s always free! Screening tenants and arranging viewings can be tedious and time-consuming, so MakeUrMove does it for its landlords. After the right tenant has been found, staying organised and getting documents in place is crucial. A comprehensive document pack for the tenancy is prepared by MakeUrMove, where landlords and tenants can sign and manage all documents digitally - having signed records stored in landlord’s own account also helps reduce the risk of missing paper documents. Staying compliant and professional provides a smoother, better experience and first impression for tenants (which then lead to having a good reputation!). During the tenancy, landlords can choose to collect the deposit and rent through MakeUrMove to ensure all transactions are correctly recorded and any arrears are handled - if needed, legal eviction assistance is also available for additional peace of mind. So, what’s in it for the tenants? As MakeUrMove is an online portal, tenants can easily view properties and book viewings anytime, anywhere. Tenants can sign up for property alerts and be notified right away when a new property listing that fits their requirements is available. A reduction in fees is always a plus for tenants. MakeUrMove does not charge any tenant fees, which means tenants don’t need to pay any referencing fees. If tenants have any questions during their tenancy, support is always available at MakeUrMove to ensure every issue is being taken care of. Landlords, ready to start searching for the right tenant and managing properties without the hassle? Head over to MakeUrMove now to learn about how you can efficiently manage the process and stay compliant. Are you a tenant? Find your next home and good landlords on MakeUrMove - and you can also avoid steep agency fees.